COMMENTS: I prefer these lids over the other 2 styles. COMMENTS: I usually order the flat lids but I like the dome on these lids. They give the jar a nice look. I think I will start using this shape for future products. COMMENTS: I love the look of these domed lids. Very professional looking. Easy to use. I’ve never had a problem with them. "Very pretty dome lids are quite attractive "
COMMENTS: I no longer use these as I have changed the look of my products but these are good quality and have a great look, especially with the amber PET jars. Love the lid liners, keeps my products from spilling or leaking. COMMENTS: I bought this as part of the packaging for my lotions and sugar scrubs. I like how easy all the parts are to order and easy to use. As a very,small time seller of soaps, lotions and scrubs, I like how professional and clean looking the final product looks. COMMENTS: Great Looking and Easy to clean. Labels go on very nicely. COMMENTS: I use these lids and they look great with my clear jars for lotion. COMMENTS: Great price. These make my products look professional. "These are super cute! " COMMENTS: These tops were the perfect contrast for the jars I have! Love them! COMMENTS: This lid paired with the 4 ounce oval jar is very classy looking and reasonably priced, especially for the style & liner. Will be ordering more of these in the future. COMMENTS: Best tops for 4 oz. jars. The tops are super classy looking and strong. COMMENTS: Easy to label and perfect for my facial scrub and bath salts. COMMENTS: I love the domed lids for my body butters and sugar scrubs. Gives the jars a little height and looks pretty with ribbon. These are the only lids I purchase with my 4oz clear jars. COMMENTS: Looks great on top of my lotion containers. COMMENTS: Ordered these lids along with jars for facial scrub. Exactly as I expected. Came with liners. COMMENTS: Love the look of these on the blue pots!!! COMMENTS: These lids look great with the powell jars, I prefer these over the regular lids. I ordered the same lids from a different company once and was a bit disappointed that they didn't have the liner, but these did! So I was very happy with them and will definitely order again! COMMENTS: The black is so sleek and pairs perfectly with my amber jars. Very nice! "Love the Jars and Lids!" COMMENTS: I cannot begin to express on how pleased i was with my order. the lids fit tightly. easily screw on and off. fit well.. unlike so many others out there.. i was highly satisfied with my order of jars lids and containers. It takes my business up many notches. LOVE is a word i would easily use. COMMENTS: These tops are smooth and professional looking. Love them! COMMENTS: I enjoy using the domed caps since it is not a shape I see frequently and the high gloss gives for an upscale presentation. However, I have noticed that it is difficult for me to find a label, 2 in is too large. I think maybe a 1.5 would be a good fit, but those are harder to find. COMMENTS: I use these with the 4 oz oval clear plastic jars. Creates a very professional look and I have not had any problems with leakage. "I really like this top but...."
COMMENTS: I really liked this top for double walled white 2 oz. plastic jars but, it did not stack as well on craft shows as the the flat straight top did. Other wise it was great. Also very classy looking. COMMENTS: No complaints at all. These lids fit exactly on the jars with no problems at all. They came packaged securely and no damage. I will be purchasing more! "Cap is very clear looking"
COMMENTS: I love this top for my matching jars! It helps me really smash my body butters into my jars to get them nice and full of fluffy whipped body butters. They also are so elegant vs. the plain tops. They make a real difference in presentation and they are so elegant for my product line. COMMENTS: These go very well with the Basic clear jars and it makes them look very professional. 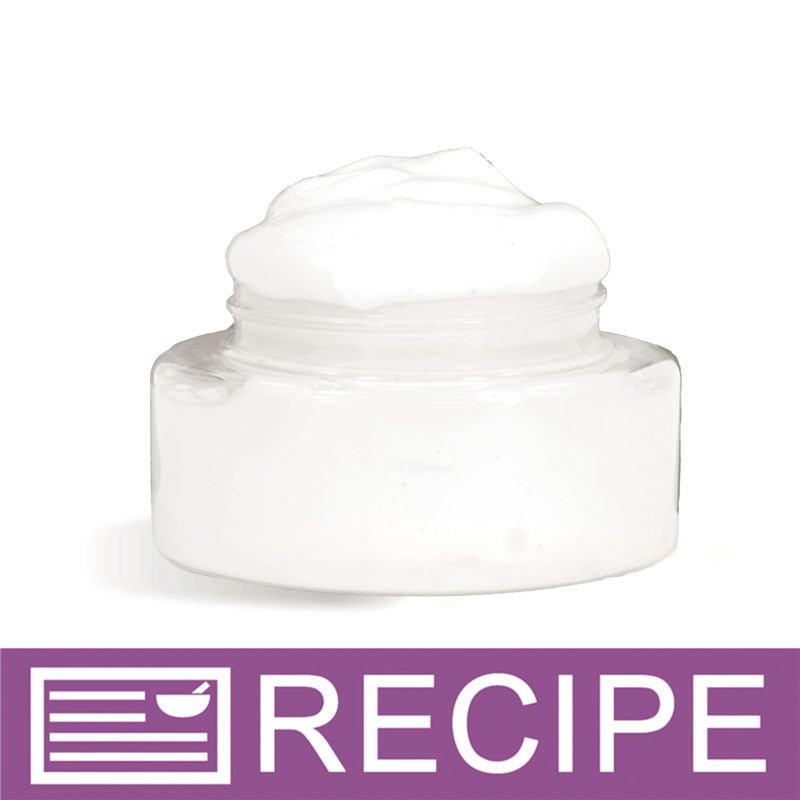 "58/400 Black Dome Top Cap - F217 Liner"
COMMENTS: I used these on clear jars for lotion. I liked the domed lid. Great presentation. COMMENTS: I love these lids on the colored jars. They give my products that touch of class that my customers appreciate. I would like to be able to purchase extra liners separately. Any chance of that?
" I like the classy look it gives the jar." COMMENTS: I teamed this lid with a emerald green jar. It was a good presentation of a new product. COMMENTS: I have used these for years in my soap and lotion-making business. In fact, I like WSP jars and matching lids better than any I have ever seen from my competitors. Classy, durable, washable, AWESOME! "Works perfect for a looser lotion!" COMMENTS: I've used lids without liners and they leak. This one with a liner has so far not leaked product on hot days. I use them primarily for salves and soft lotions. The lids screw on nice and tight and I really like the rounded profile. Good price, too! COMMENTS: The shape is really cool. So much better looking than a straight top. I'm glad I sprung for the extra cost and got a better looking top. Makes the jars look more "spa like"
COMMENTS: These tops I use in my crafts shows for product. They just give my masks and scrubs a better feel. COMMENTS: I love the doomed caps. They add an extra flavor to my products. My body butter jars look great. "Great for body butter and sugar scrubs"
COMMENTS: These lids are perfect for my 4 ounce clear containers to ship my body butters and sugar scrubs. I have never had a problem with them and I have been using them for years. "58/400 Black Dome Top Ca"
COMMENTS: I love these little dome caps for my sugar scrubs. They are easy to use and I like that they curve. No complaints whatsoever. They are sturdy too. COMMENTS: Looks nice and enhances the visual appeal of my products. COMMENTS: I love the look of the black dome lid. Very classy !!! COMMENTS: I LOVE these lids. I use them with the 4oz Powell Oval Plastic Jars for all my dry face mask mixes and everyone who's seen them has not only been impressed by their high-end appearance, but for their "cute-quotient". Most have also been excited by the fact that they will make attractive containers for lots of things after the mixes are used up. PLEASE keep this in stock. I've already repurchased them a couple of times and hope to make a very large order soon so I always them on-hand. "Lid for Cobalt Blue 4 oz jar"
COMMENTS: I love this black domed lid to go with the cobalt blue 4 oz jars. My line of unscented products are denoted by the cobalt blue and black bottles and jars. If a customer says they are usually allergic to products, we can instantly direct them to the products that are unscented without reading all of the labels for the ones that are scent free. "Perfect lid for the amber 4 oz jar!" COMMENTS: This lid looks so perfect and professional on the amber 4 oz jar, I love it! COMMENTS: Love the versatility how one cap can fit other jars, makes my life easier! Plus they look nice! COMMENTS: These black dome tops give a professional look to my products. They look good with almost any jar - black, white, clear, amber, etc. The liner is nice to have. COMMENTS: These lids, are GREAT!!! They take a plain container to the top of the class. They are simple and elegant. • That they are lined. COMMENTS: These caps are very thick, hard plastic. They look very professional when put on top of the amber jars we use for our lotions. They are very smooth and come off easily with a twist of the wrist but hold tightly once placed on the jar. I've never had any complaints about them. We will be back for more of these as soon as we run out. COMMENTS: I get the majority of my containers from WSP and these are great lids! I use these often! COMMENTS: Makes my sugar scrubs look great. Will buy again soon. "The tops improve the look of the jar"
COMMENTS: These tops make the jars look more expensive. The tops appear to be easy to handle as far as putting the tops on and off. The look with this top in a display case or on a shelf is more eye appealing then the straight flat tops. COMMENTS: I use these lids with the 4 oz clear jars and they look much better than the basic top. The lids have a paper liner in the inside and I have never had a problem with any product leaking out. COMMENTS: Perfect touch for my face scrubs! Makes the packaging look so much more professional on the amber jars! COMMENTS: These go perfectly with the white plastic jars! COMMENTS: Love these tops they look very professional. I would like to see them in more colors if it were possible. COMMENTS: These lids are perfect with my jars. I love the color and the dome shape. I don't use any other lids than the black domes. COMMENTS: I use these lids for scrubs and body butters. THe dome cap looks amazing on any jar! COMMENTS: Great container for my thick body butter! customers love the high end look to it! Thanks WSP!! COMMENTS: I use these on my 2oz clear pet jars with the extra press seal, even though they have a liner. Keeps the liner clean for the customer. These look very nice and professional, and have always fit well. Can get scratched a little, because they are a shiny black, but do hold up very well. Sometimes when you have a lot in the bag they ship them in, you'll get tiny black speckles that can fall into your creams. Just wipe them gently before sealing up your jars to avoid this. Otherwise great product. COMMENTS: After browsing around, I find these to be the ideal size for all my bath products. Its cute & very versatile, & very handy. Whatever I sell in these cute jars sell quick. I've bought hundreds of these jars & I'm very happy. What I like the most is that the jars are highly durable & the black lids fit quite well, no issues. The entire set appears to be of very good quality, doesn't look cheap. It looks great. Don't forget the press & seal liners, if you plan on storing body butter. COMMENTS: These are GREAT jar lids. I love the fact that they are black AND domed. I use them for my body butters with the clear 2oz jars. They make my products look as luxurious as they are. • purple color would be great too. COMMENTS: Nice liner, they don't leak and they aren't expensive. "What shrink wrap fit this top "
Staff Answer Our 95x95 Shrink Wrap Bands are the best fit for these lids. "What are the measurements of these lids? I'm trying to get labels." Staff Answer Across the flat portion of this cap measures 1 5/8". Since you are using these measurements for labeling, we always recommend customers purchase the product first prior to making labels for it. Then you will know exactly how you would like it to fit, and look for your product. "Do the 58/400 dome lids come in white?"